Dubai: New mothers who work for private UAE companies will enjoy more time with their newborn babies thanks to generous maternity leave from their employers that go well beyond legal minimums enshrined by government, said company officials on International Women’s Day on Thursday. As compared to the mandatory 45 days paid maternity leave for private firm employees prescribed under the UAE Labour Law, companies are doubling the legal minimal maternity time away from work to help babies get a better start in life and retain talented mothers on employee rosters. Dubai government employees were awarded 90-day paid maternity leaves effective March 1 last year. By comparison, in the latest federal budget in Canada tabled in late February, Canadian parents can now take maternity leave anywhere from 12 months with 55 per cent employment insurance benefits, right up to 18 months at 33 per cent wage benefits paid by the federal government. Some private UAE firms are mirroring longer maternity leaves which medical studies suggest give mother and baby medical advantages toward a healthier, higher quality of life. Fadi Chamat, Regional Executive Director — People Team, Omnicom Media Group MENA, told Gulf News on Thursday that the company is keen to support new mothers in its work environment. “Our decision to double the maternity leave provisions from 45 to 90 days in 2016 is part of a wider programme to support the return of new mothers to the workplace. It also includes flexible working hours as well as a mentorship and empowerment programme,” Chamat said. Ahmed El Dekny, HR Business Partner with Edleman, told Gulf News on Thursday that female employees who have worked with the company for two years are given 90 days paid maternity leave and a further 90 days unpaid leave if needed followed by a further 30 days of working from home. On Wednesday, Nestle Middle East announced it is boosting its paid maternity leave option from eight weeks to a minimum of 14 weeks that can be extended to a six-month unpaid leave. The extended leave went into effect on Thursday. 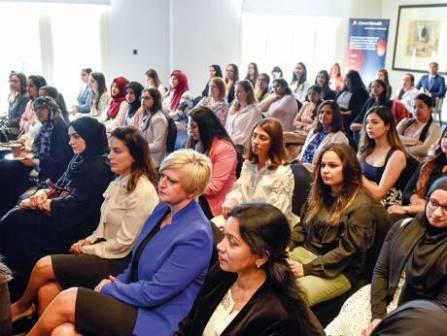 Christine Geary, Human Resources Director at Nestlé Middle East, said the policy meets gender balance aims to include everyone in the workplace. “This policy will help us better support mothers and their families across the region, and reinforces our support for exclusive breastfeeding during the first six months of a child’s life,” she said in a statement. “For us the equation is simple: We need the talents of younger and older men and women of all backgrounds, who can really thrive in work environments that allow them to best manage their personal lives,” said Geary.